Our vision at Vistacorp was to restore and build beautiful country houses and villas keeping the traditional Umbrian style but adding a slight modern touch to bathrooms and kitchens giving a classic feel to the property but with functionality of modern living, we have achieved this by combing traditional local builders and a top london interior designer (Sara Anton). 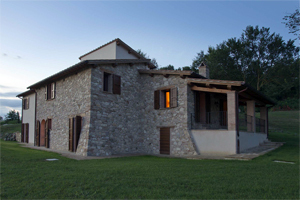 All our properties are based around the original shape and style of the existing "casali" and boast outstanding views. Our aim is to provide a quality service now and in the future to all our buyers, to ensure that their property remains a "Italian haven".